Sergio Gómez of Geometric Art by Mak, recorded the creation of this geometric skull as he was making it. Geometric art tasks a lot of skill. It's a play of shapes to see what fits and will create your intended image. Reminds me of playing with tangrams to create different images. 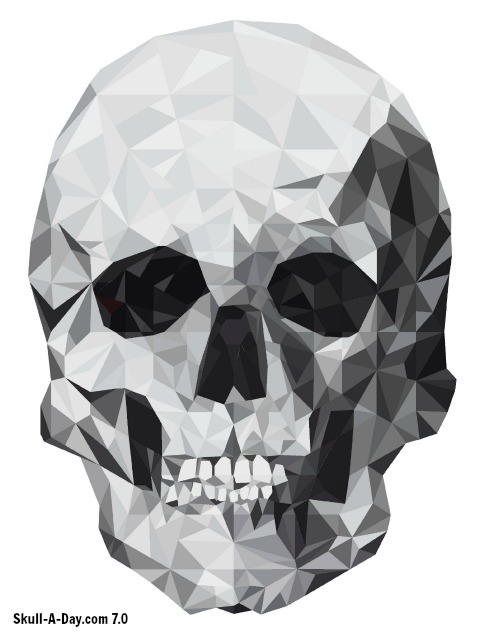 This skull would be a massive tangram puzzle. Geometric Skull Work Process from geometricartbymak on Vimeo.